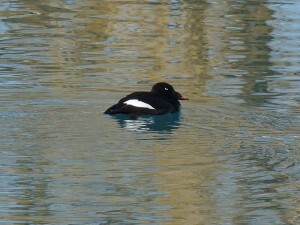 There are still a few White-winged Scoters around. I photographed this adult male at the mouth of the harbor on March 15. These birds have been feasting on Zebra/Quagga Mussels. 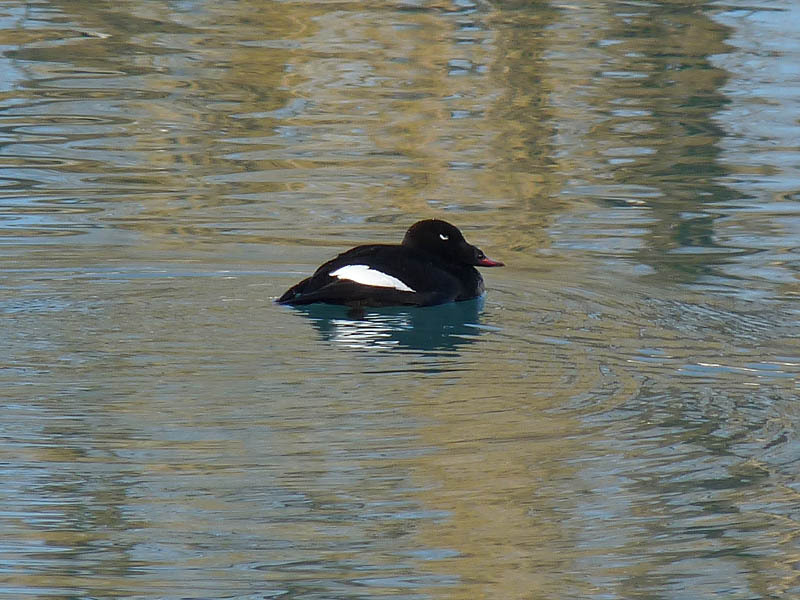 This entry was posted in Spring Bird Reports and tagged Waterfowl, White-winged Scoter on March 17, 2015 by rhughes. 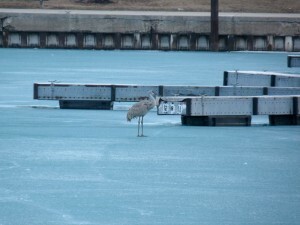 The Sandhill Crane found standing on the ice inside Montrose Harbor yesterday was still there this morning, March 13. I’ve seen some strange things at Montrose but this has to rank near the top of the strangeness meter. Sandhill Cranes aren’t all that rare at Montrose but the ones we do see are always flying over. In all the years I’ve birded there I think I’ve seen them on the ground just once. Not so strange were the 4 or 5 White-winged Scoters at the harbor mouth. 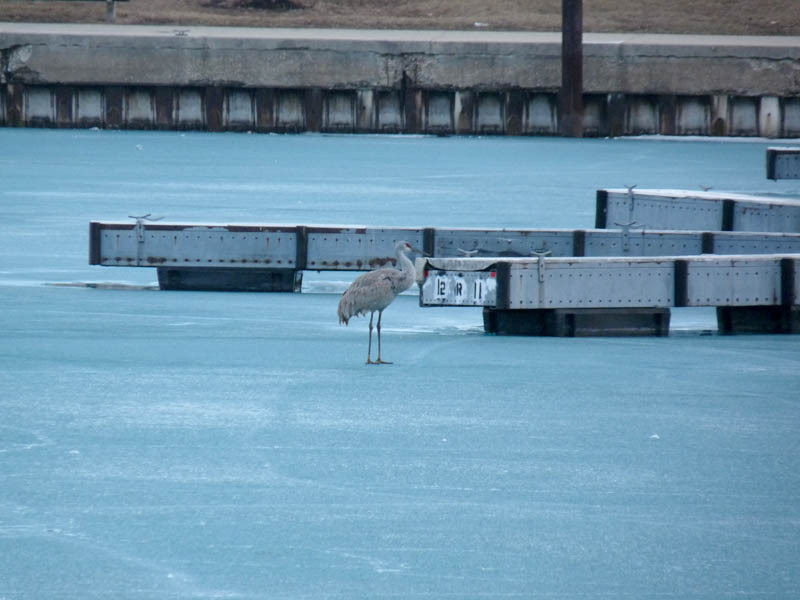 This entry was posted in Spring Bird Reports and tagged Cranes, Sandhill Crane on March 17, 2015 by rhughes. I had the adult Red-throated Loon at Montrose again this morning, March 8 in the lake just south of the concession stand. The bird dove once and I never saw it again, but I ran into Al Stokie and he informed that it was moving west very fast and the last time he saw the bird it was near the harbor mouth. 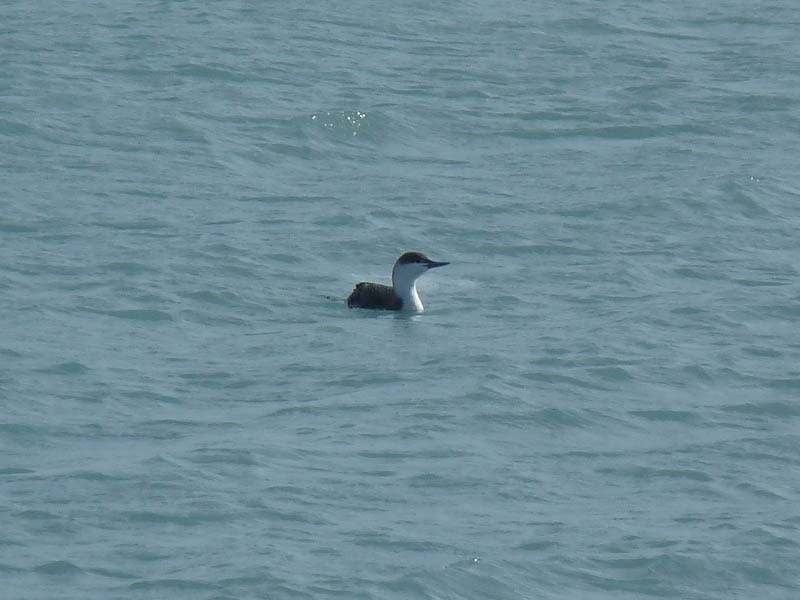 This entry was posted in Spring Bird Reports and tagged Loons, Red-throated Loon on March 9, 2015 by rhughes. I had an adult Red-throated Loon at Montrose this morning, March 7. The bird was in the lake just off the southeast corner of the point. I had been standing on the walkway scanning the lake when the loon appeared out of nowhere and in front of me. 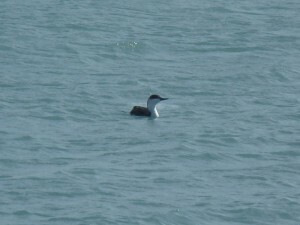 Red-throated Loons are uncommon but regular spring visitors to Montrose. This entry was posted in Spring Bird Reports and tagged Loons, Red-throated Loon on March 7, 2015 by rhughes. There were good numbers of waterfowl at Montrose this morning, March 5, including Canada Geese, Common and Red-breasted Mergansers, Common Goldeneye, and Greater Scaup. I also had about 25 White-winged Scoters between the fishhook pier and the harbor mouth. Most of these birds were easy to see because of the extensive ice cover, forcing them into open water near shore. The video is from Montrose Harbor, where a pump is keeping a small patch of water open. This entry was posted in Spring Bird Reports, Video and tagged Waterfowl, White-winged Scoter on March 5, 2015 by rhughes. I checked Montrose this morning, March 1, to see if any of the scoters from the last few days were still around. The only sizable area of open water was off the end of the fishhook pier, which held quite a few ducks, including about 25 White-winged Scoters. It feels like deja vu all over again from last winter, except that I haven’t seen any distressed or dead ducks, so enough open water must be available to keep these birds alive and healthy. This entry was posted in Spring Bird Reports and tagged Waterfowl, White-winged Scoter on March 3, 2015 by rhughes.